Ann Morton is a native Phoenician. In her youth, she thought of Chandler as a place on the outskirts— full of farms and scarce on people—far from the big metropolis of Phoenix. That isn’t the truth about Chandler in 2013. Her installation is meant to reflect the Chandler of today, to show the citizens who built and call this place home woven together. 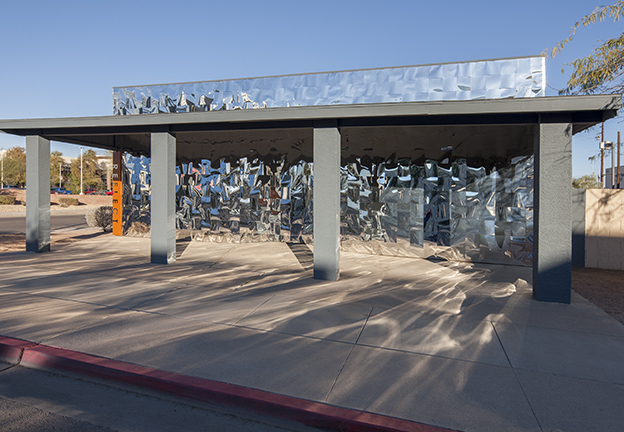 This artwork was commissioned by City of Chandler Public Art Program. IN FLUX Cycle 3 brought together seven organizations representing seven Valley cities—Scottsdale, Tempe, Chandler, Glendale, Goodyear, Mesa, and Phoenix. 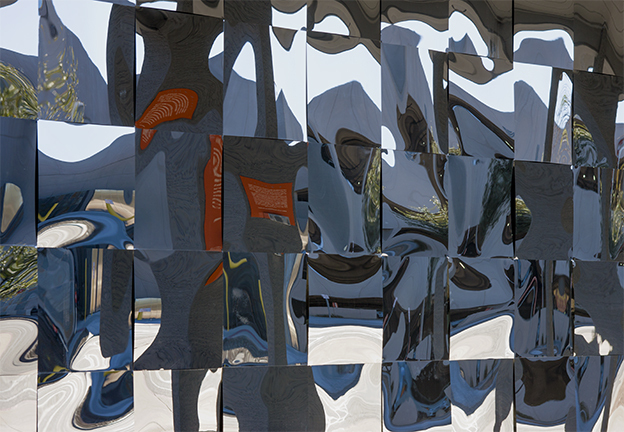 Artworks were on view December 2012 – October 2013. Live the art. Love the place. 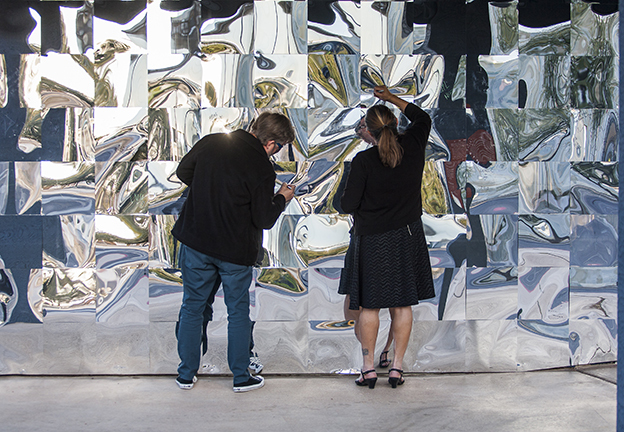 The mission of Scottsdale Public Art is to serve as a leader in defining art in the public realm through creative place-making, signature cultural events, exhibitions, and installations — contributing to the community’s creative, cultural, and economic vitality. 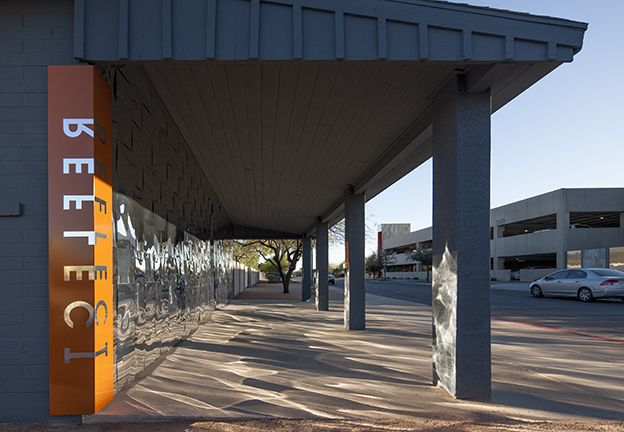 Tempe Public Art aspires to cultivate a unique community identity that advances Tempe as a vibrant and progressive destination. 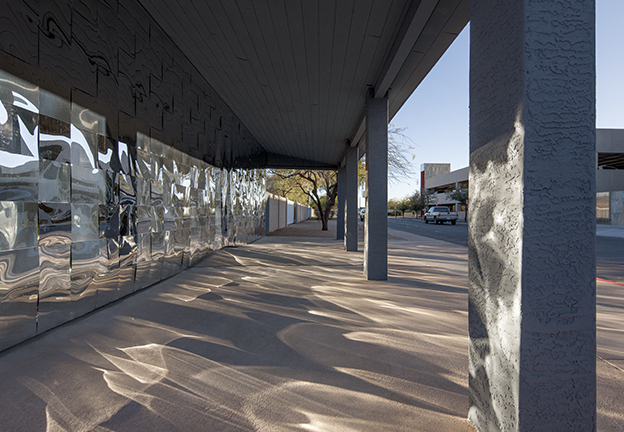 The Office of Arts and Culture in Phoenix, Arizona, was established to create a more beautiful and vibrant city, and in 1986 set up a Public Art Program to allocate one percent of the city’s Capital Improvement Program to public art. 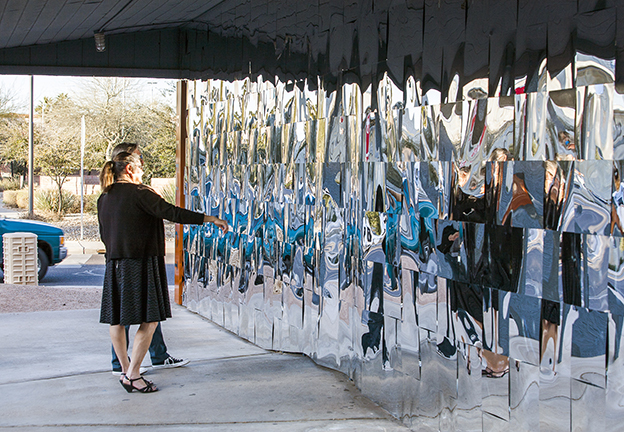 Public art displays are an expression of a city’s commitment to foster cultural and artistic identity. 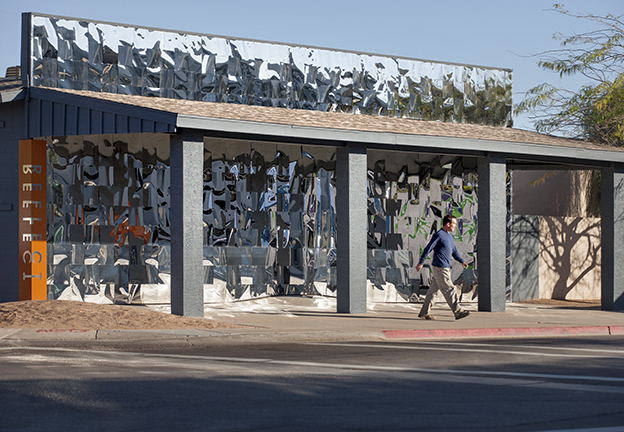 Peoria is proud of our diverse, relevant and accessible public art on display throughout our city. 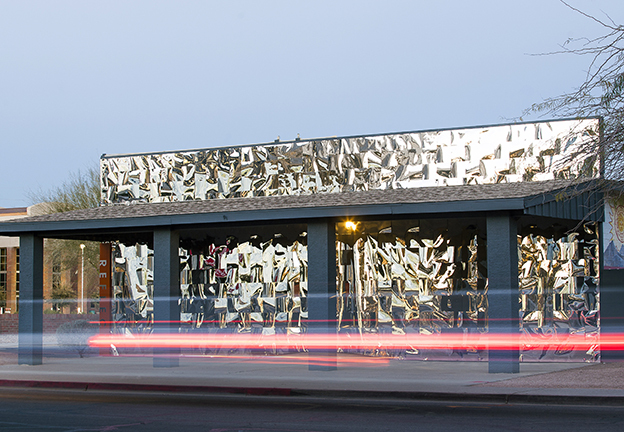 The City of Glendale is committed to an Art Program that brings meaningful art to the community and celebrates both diversity and commonality in Glendale. 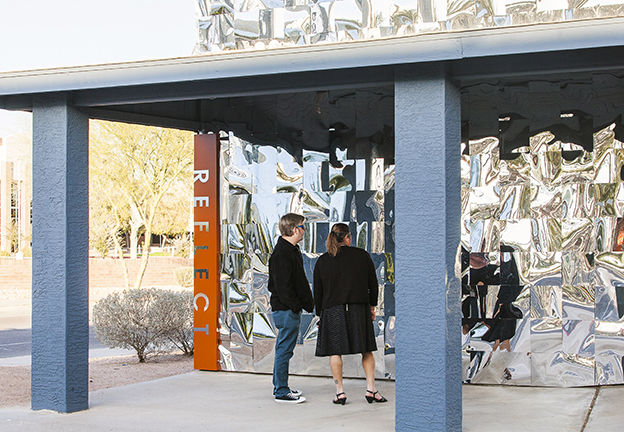 The Chandler Arts Commission recommends and advises the City Council, City Manager, and staff on the design, execution, and placement of works of art.